As progress on the 2007 Farm Bill moves haltingly forward, some recent news articles have highlighted the perspective of lawmakers who are closely involved in the process. In some cases, the news articles have integrated how the 2007 Farm Bill could impact constituent farmers that these lawmakers represent. Manu Raju and Kevin Bogardus reported today at The Hill Online that, “The farm bill stalled in the Senate is jeopardizing Sen. Norm Coleman’s (R-Minn.) attempt to resurrect his image with Minnesota sugar beet growers, a key constituency in his state. The article noted that, “Even though Coleman joined just three other Republicans last week in a failed procedural motion to end debate, Democrats hint that he may be found guilty by association. The Hill piece indicated that, “The farm bill was supposed to provide Coleman with an opportunity to reconnect with the sugar industry in Minnesota, which has spurned him since the CAFTA vote. The American Crystal Sugar Political Action Committee, which has donated nearly $1 million to political candidates this year, gave Coleman about $15,000 between 2001 and 2004, but has not given him a donation since the CAFTA vote, according to CQ PoliticalMoneyLine. Later, the authors explained that, “With 2,600 jobs in beet fields and sugar refining factories, the sugar beet trade has much to gain from the farm bill. For example, the loan rate for the commodity would be increased by one cent over time in the Senate version of the bill. “In addition, sugar produced in the United States would be guaranteed 85 percent of the domestic market under the House and Senate bills, according to Nick Sinner, executive director of the Red River Valley Sugar Beets Grower Association, which represents the industry along the Minnesota-North Dakota border. Sid Salter, writing on Saturday at The Clarion-Ledger (Mississippi), noted that, “The eyes of a lot of Mississippians are on the 2007 farm bill now stalled in the U.S. Senate. “While Tunica County farmer Justin Caricker, 41, of Dundee doesn’t have a vote in the matter, he’s anxiously watching the ongoing U.S. Senate battle over the massive $286 billion plan that will set U.S. farm policy for the next five years. “U.S. Sen. Thad Cochran, R-Miss., shares Caricker’s concerns. Cochran is the ranking member of the Senate Appropriations Committee and its powerful Agriculture Subcommittee and a key Republican leader on the Senate Agriculture Committee. 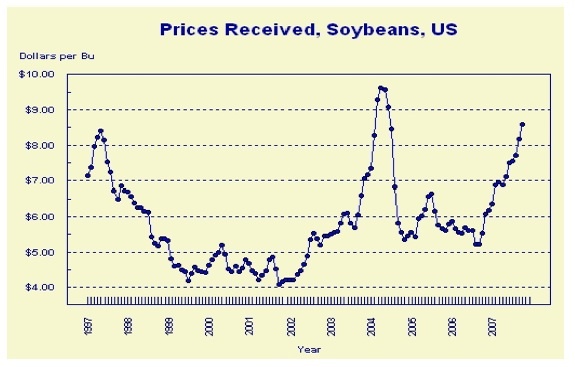 The article indicated that, “Opponents of the crop subsidies say that crop prices are relatively high today and farm incomes are better than they’ve been in years. (For graphical depictions representing the jump in production expenses, click here, here, and here). 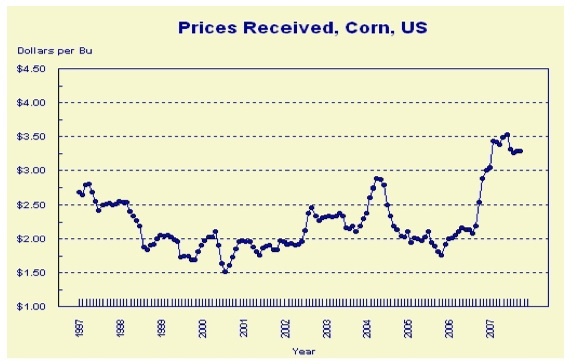 Later, the article pointed out that, “Caricker said that when the 1996 farm bill was written, commodity prices were high and rising when that bill was being written and the crop subsidy program was limited or removed. (For a general overview of Mississippi agriculture, click here). Jonathan Rivoli reported yesterday at the Bismarck Tribune (North Dakota) that, “Despite a losing vote on the Senate floor last Friday and national media reports that the farm bill is dead until after the 2008 elections, Sen. Kent Conrad, D-N.D., remains confident that a farm bill will be passed this year. “‘It’s not dead,’ he said emphatically while traveling the state this week. Conrad, who’s deeply involved in the process as chairman of the budget committee, alluded to progress in behind the scenes’ deals but said he couldn’t elaborate due to their ongoing nature. “Rep. Earl Pomeroy, D-N.D., who helped shepherd the House version to successful passage in July, is less optimistic. Mr. Rivoli went on to explain that, “When projecting spending levels for a proposed farm bill, budget scorers look at the outlays of the current bill over the last five years. If the bill were bumped to 2008, the calculations would include 2007, which has been a very good year for many farmers in the Midwest and Great Plains. 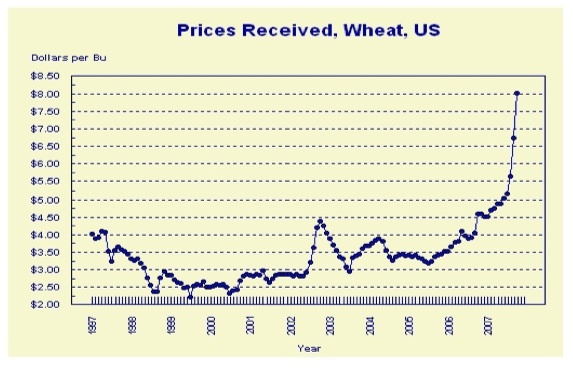 “Dan Wogsland, executive director of the North Dakota Grain Grower’s Association, called 2007 an ‘anomly’ that would skew support payments downward. “‘We’ve never seen a time when prices are this high and we’ve never seen a time when, all across the state, crops are good,’ he said. “Wogsland said North Dakota farmers are beginning to pay more attention to the debate as they come in from the fields this fall and are having more time to follow it. 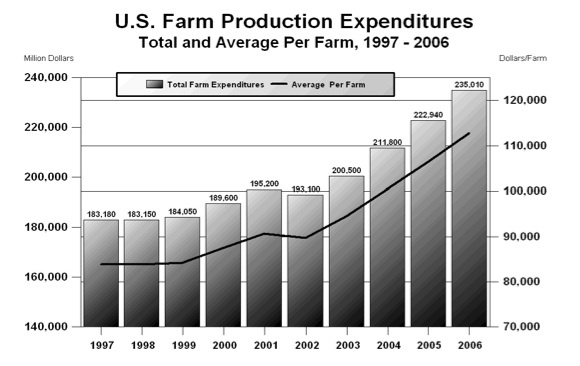 (For a general overview of North Dakota agriculture, click here). Dan Gearino writing today at the Sioux City Journal (Iowa) Online reported that, “U.S. Sen. Charles Grassley isn’t ready to give up on passing a new version of the farm bill this year. “The bill ran into a roadblock last week when majority Democrats failed on a key procedural vote, leading to speculation of a long delay. But Grassley, an Iowa Republican, said he expects Senate leaders to meet right after the Thanksgiving recess and come up with a plan to allow debate to move forward. (For a general overview of Iowa agriculture, click here). FarmPolicy.com interview with Representative Adrian Smith (R-Neb.) from Friday, November 16- to listen; just click here (MP3- about nine minutes). 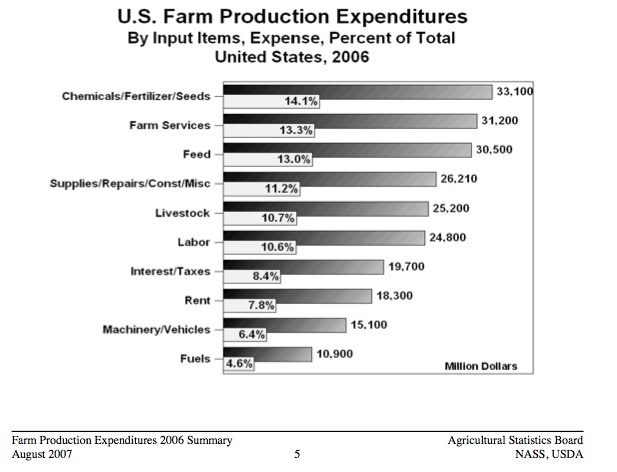 (For a general overview of Nebraska agriculture, click here). In more commodity specific news analysis of the 2007 Farm Bill debate, Erika Lovely highlighted impacts on wheat growers in an article posted yesterday at Politico.com. There, Ms. Lovely indicated that, “The Senate’s failure to pass the $286 billion farm bill before Thanksgiving is putting a squeeze on some early crop producers, such as wheat farmers, who say the delay has forced them to take out bank loans in order to fund their spring harvests. “The National Association of Wheat Growers CEO Daren Coppock said the holdup on the $286 billion five-year reauthorization bill has left wheat farmers unable to estimate the amount of commodity funding they will receive next year, and uncertain if their bank loans will cover the rising costs of fertilizer and machinery fuel. Concluding, the Politco.com article stated that, “Regardless, Senate Agriculture Committee members, especially Harkin, are remaining upbeat. In more specific coverage regarding problems faced by producers from some regions of the country, Joseph Morton reported in today’s Omaha World-Herald that, “More federal dollars could go to the University of Nebraska-Lincoln’s Drought Mitigation Center under a provision that Sen. Ben Nelson has inserted in the Senate version of the farm bill. “Under the proposal by Nelson, D-Neb., the federal government would enter into a five-year, $25 million agreement with the drought center — a big boost for an operation established in 1995 on a budget of about $200,000. “The center’s annual budget is now about $2.25 million, much of which comes from federal grants, director Michael Hayes said. The article added that, “Hayes said the proposed $5 million a year would represent a small investment when weighed against the billions spent on emergency disaster relief following a drought. “Nelson said funding for the drought center is needed to have better forecasting of when droughts will occur and for how long. Farmers can make better planting decisions if they know whether a sustained dry period is on the horizon, he said. A Reuters news article, which was posted yesterday at DTN (link requires subscription) reported that, “The timeframe for a Doha round trade deal, set six years ago to boost the world economy and lift millions out of poverty, is slipping further. “Trade diplomats and officials now say if all goes well an outline deal is likely in January or February next year, a preliminary signing in June or July, and a final deal in 2009. The article noted that, “The next major milestone in the negotiations is when the chairmen of the key talks on agriculture and industry issue revisions to the compromise texts they produced in July. More specifically, the article stated that, “To allow rich countries time to provide crucial consumption data on these products, the chairman of the agriculture talks, New Zealand’s WTO ambassador Crawford Falconer, said at the start of this month that he would delay his revision. “WTO insiders say this revision is now likely in December, or even in the early part of next year.